Complicated intra-abdominal infections (cIAIs) are a common cause of morbidity and mortality in surgical patients. Optimal management of cIAI requires early source control in combination with adequate antimicrobial treatment and aggressive fluid resuscitation. cIAIs are mainly caused by Gram-negative bacilli and anaerobes. Broad-spectrum single-agent or combination drug regimens against these microorganisms are the mainstay of therapy. However, development of antimicrobial resistance has become an increasingly large concern: multidrug-resistant organisms are associated with a higher rate of inadequate antimicrobial therapy, which in turn is associated with higher mortality rate, longer hospital stay, and increased cost compared to adequate antimicrobial therapy. 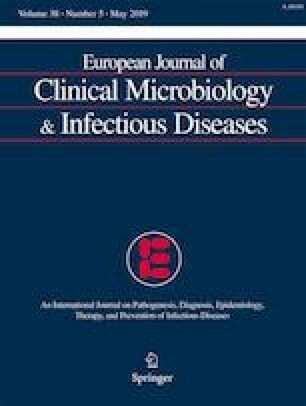 In this mini-review, we discuss the effectiveness of several new antimicrobial agents, recently approved or in advanced phases of clinical development, for the treatment of cIAIs, including the new beta-lactam and beta-lactamase inhibitor combinations (ceftolozane/tazobactam, ceftazidime/avibactam, meropenem/vaborbactam, imipenem/cilastatin/relebactam, aztreonam/avibactam), siderophore cephalosporins (cefiderocol), aminoglycosides (plazomicin), and tetracyclines (eravacycline).